Private Venice & Murano Tour Includes: Roundtrip transportation to and from the Venice docks, transportation to Murano and St. Mark’s Square, entrance tickets to Doge’s palace, services of private tour guide, free time to explore on your own. 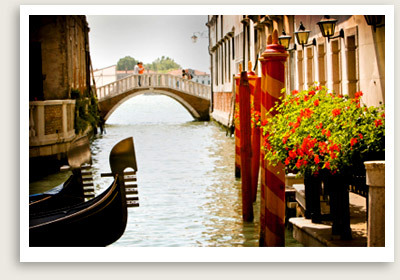 All our private shore excursions in Venice can be fully customized for families, couples or private groups. On this private guided tour of Venice, you will see three of the city’s most important sights. Your licensed Venice tour guide will pick you up at the dock and take you to the island of Murano, famous for glass and its artisan. From Murano, you will take a boat to Venice, to St. Mark’s Square, the political and religious center of the Republic of Venice. You will see many of its historical and artistic treasures dating from antiquity: the Cathedral with its precious mosaics; the Doge’s Palace with its well-known Bridge of Sighs; the Procuratie palaces and the Napoleonic Wing; and the Clock Tower, the Campanile and the Marciana National Library. After your guided tour of Venice, you will have 2 or 3 free hours to explore on your own. We can make arrangements for lunch, shopping, sightseeing and other activities you are interested in. Your Venice tour guide will meet you again after your free time and be with you until it’s time to head back to your ship.